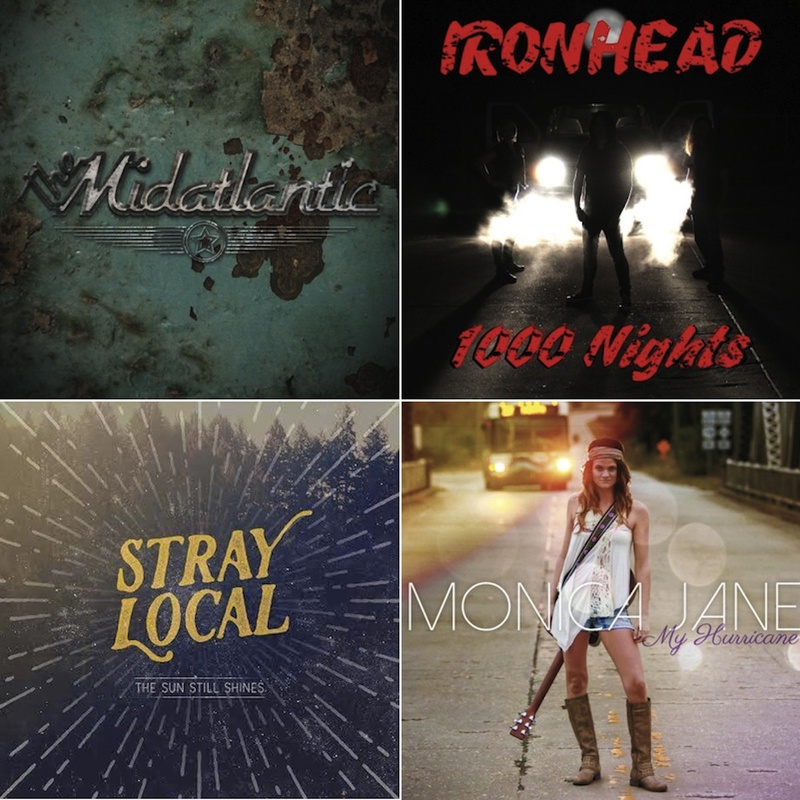 Local music is a wonderful holiday gift for the music aficionado in your life, whether it’s a new release from your brother’s favorite band or an EP from a group that you’re sure will become his new favorite. The gift of music also supports the hard working people in the Wilmington music scene, many of whom have spent lots of time and money perfecting their art. It’s a win all-around! Local music expert and Star News WAE blogger Brian Tucker put together a list of the huge number of homegrown albums that dropped in 2014. Click here for Parts 1 and 2 of the list. You can pick up most of these releases by contacting the band directly or visiting our favorite local record store, Gravity Records. Tonight, December 6th, we recommend stopping by Bourgie Nights, where local favorites Mike Blair and the Stonewalls are celebrating the release of their much anticipated full-length debut. In addition, the opening act is local folk trio Stray Local, who put out a new release of their own in October. For $5 at the door, you get to hear two great Americana acts, and for a few dollars more you can take home two of the year’s most talked-about releases. Click here to check out the Facebook event. Coming up on Wednesday, December 10th is a show we’re very excited about and also sort of sad about. One of our favorites, Dylan Linehan, is putting on a going away show before she makes the leap to Los Angeles. Her “rock popera” has been a unique and welcome element on the music scene, and we’re going to miss her terribly. Go see Linehan perform all new original songs while accompanied by a full band which, in itself, is an all-star team of Wilmington musicians including: Keith Butler Jr. (drums), Michael Buckley (guitar), Vanessa Lynch (vocals), Nick Simon (bass), Sean Howard (bass), Chris James (vocals), and Hannah Lomas (vocals). Opening acts Chris James and Vanessa Lynch are amazing as well, so get there early. Presented by CioneProStudio, tickets are $10 at the door, $7 in advance. Click here for the Facebook event and here for tickets.